Mark and Grant talk about the incorrect layout of a fancy Target, and the sheer joy one can experience going either way on an escalator. 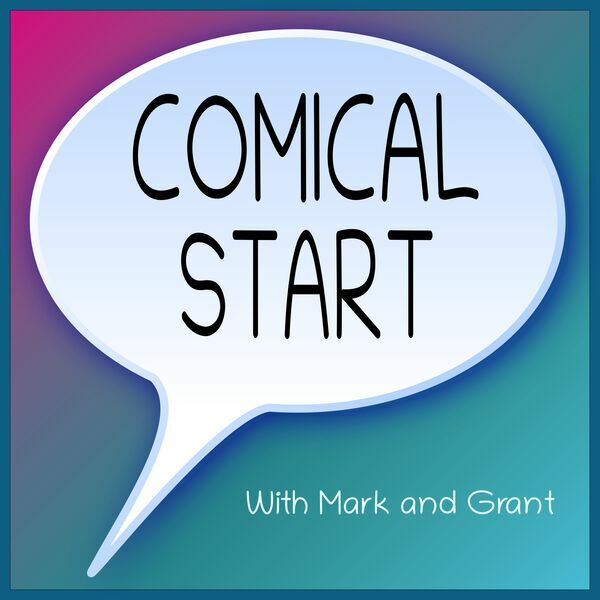 Mark gets things started with a Wide Open comic to discuss Grant's mortality. It is unclear whether Grant would want to help humanity, or play practical jokes. An update on Twitter is presented. Grant follows up with The Buckets to briefly discuss appropriate room temperature, followed by a tenuous segue into personal vices. Somewhere along the line, a discussion about popsicles resurfaces from earlier, and it goes nowhere good.